Voronoi, a Korean biotech startup with the potential of a unicorn devoted to the development of low-molecular compound drugs, is on course to go public within the year. Voronoi whose name caught attention after it drew in multi-billion-dollar funding from Harvard Dana Farber Cancer Center for its anticancer and degenerative brain disease drug project has picked Korea Investment & Securities and MiraeAsset Daewoo Securities to proceed with its IPO on the Kosdaq. The Korean biotech company signed a 49-billion won deal with Dana Farber last March over an investigational drug to treat Parkinson’s disease and another 50-billion won deal over cancer-inhibition technology last month. Both did not disclose their ownership structure after the investments. 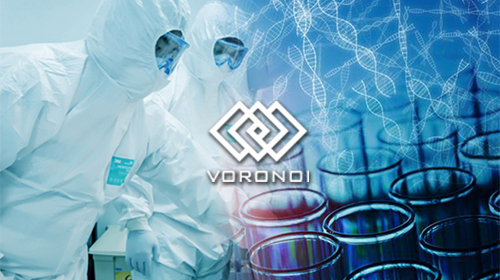 Founded in 2015, Voronoi is planning to conduct clinical trials of five investigational molecules this year. Four pipelines are under joint development with Dana Farber. Dana Farber, a research and education arm of the Harvard Medical School in Boston, is recognized as the world`s leading authority in cancer clinical research and therapy development. It contributed to developing several blockbuster drugs including leukemia drug Gleevec and lung cancer drug Iressa. Sources said Dana Farber estimated Voronoi’s corporate value at 250 billion won last year and re-evaluated at 1.1 trillion won ($979 million) last month, making it a potential Korean unicorn, a startup valuing $1 billion. Considering that its value ballooned nearly four times in a year, the company’s market capitalization would exceed 3 trillion won once it succeeds in licensing-out deals.